1916 Ladies Home Journal Dioxogen Antiseptic Magazine Advertisement. If Mother used Dixogen the wound is cleansed and her child protected from painful infection. Oakland Chemical Company, New York. Ad is 5" high and 2 1/2" wide. Advertisement is in very good condition, suitable for framing. 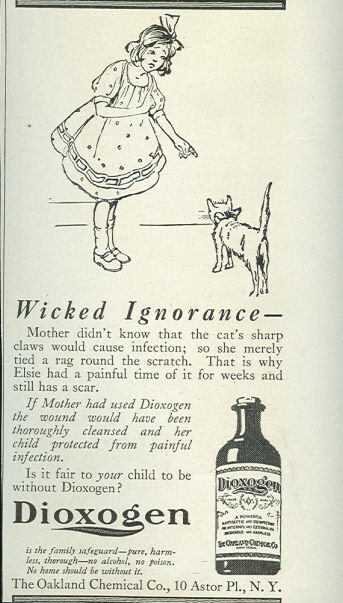 Items Similar To "Dioxogen Antiseptic for Child's Cuts 1916 Advertisment"